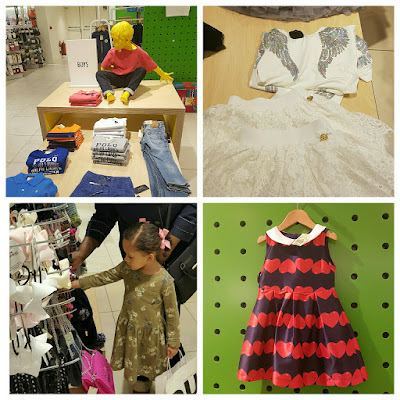 As I have spoken about on the blog before, Wednesdays are "Mummy and Darcy Days". 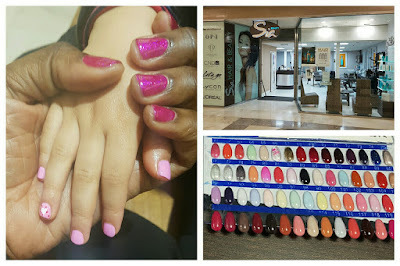 When the lovely people at Brent Cross got in contact and asked if we would like to come down for a girlie day of manicures, lunch and shopping, of course we snapped up the offer. Brent Cross is really easy to get to. We got on a bus which stopped right in front of the main entrance. It is easy to get to by tube and there are numerous buses you can get there. There is LOTS of parking if you are coming by car and most importantly the parking is free. First stop was Sia Hair and Beauty, which is based on the ground floor. I opted for the express manicure as time is of the essence when you have a toddler and lots of shops to visit. They have a great selection of OPI gel polishes. The staff were very welcoming and helpful with Darcy, who ended up getting a little manicure for herself with some cute nail art. Sia Hair and Beauty offer a range of treatments including threading, waxing, manicures, pedicures, facials, tinting, lash extensions, massage, microdermabrasion and much more.If you are in a hurry they have a express bar on the first floor for manicures and threading. One thing about Brent Cross is you will never ever be hungry. They have a food court on the top floor. Whether you fancy a coffee or a sit down meal they have it covered. From Nandos to Leon's, there are lots of places to choose from to meet all types of diets and culinary tastes. 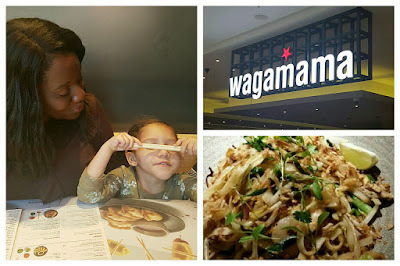 I decided on Wagamama's as I was craving a Pad Thai. I was a little nervous as I have never taken Darcy before and I didn't know what she could and would be willing to eat. However, they have a great kid's menu from freshly squeezed juices to yummy noddles they had everything covered. Darcy had lots of fun trying to work out how to use the chop sticks, the service is fast and the staff are very friendly. If you are worried about using chopsticks, forks and spoons are readily available onthe tables! 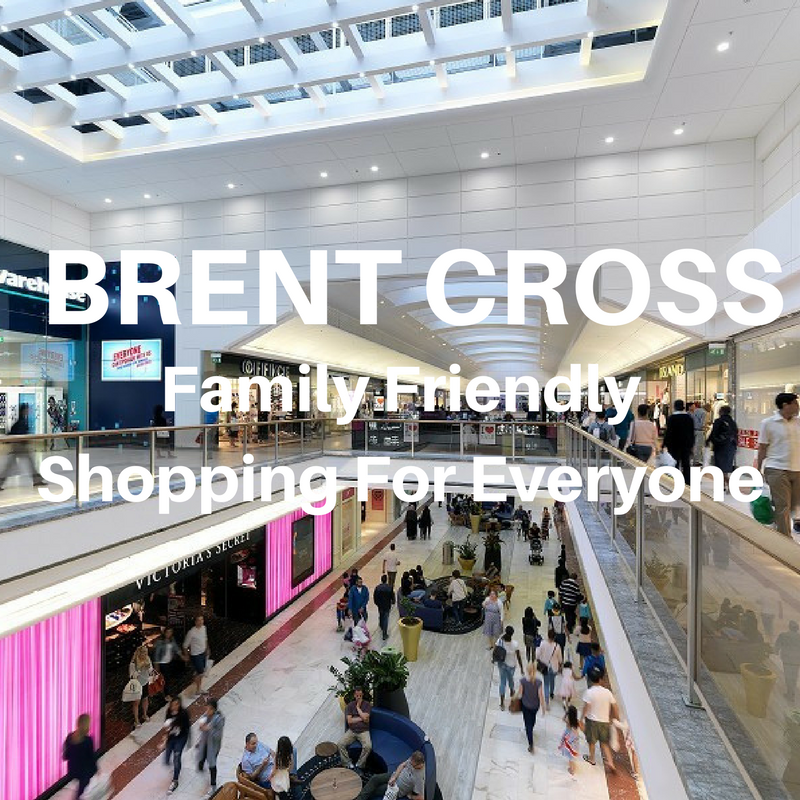 Brent Cross is very family friendly, there are signage everywhere which is perfect when you are trying to navigate yourself around with a lively toddler. There are spacious toilets on every floor with great changing room facilities. If you need a five minute break they have plenty of seating on each floor and on the top floor there have a kid zone where the little angels can let off some steam!!!. Fenwick is like an Aladdins cave, literally everything you need is under one roof. From make up and skin care to designer handbags. Their Womens selection has everything you would need. Up to the trend denim with trimmings and embroidery which is big this season. 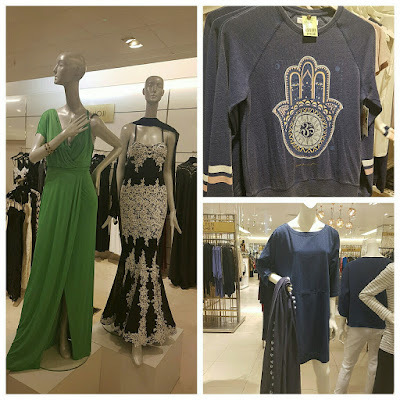 Stylist sportswear which can be worn outside of the gym, and for when you have a special occasion to go to, they have some amazing evening dresses and accessories. The Children selection has a totally different feel. Straight away you notice how bright is as, with plenty of room to move a buggy around. 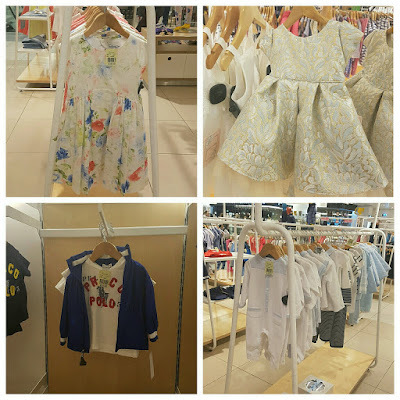 They have a great selection of baby items and lots of gift sets which will be perfect to give to a newborn and their parents. Darcy is already a shopaholic and had great fun showing me what clothes and accessories she liked. They also have their toy selection on the same floor. From Lego to Barbie, there are lots of selections of toys for all ages and most importantly lots of displays to not only look at but also to play with. They are up to date with all the new releases. 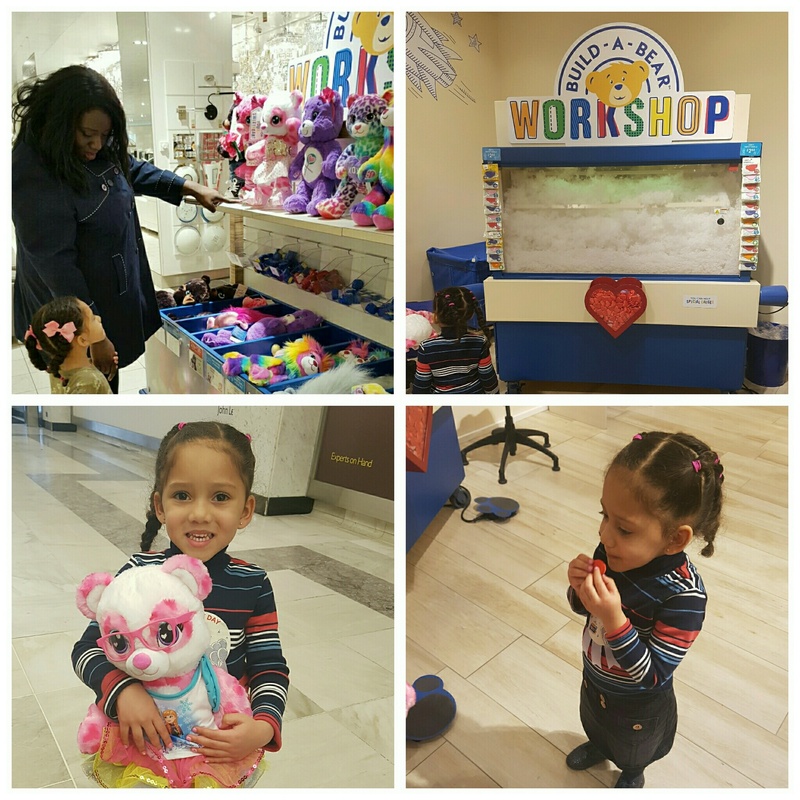 We found ourselves in the Build A Bear department which is on the same floor. I loved the whole experience. Your child gets to pick their own bear, not only do they stuff it to the fullness they want, they also do a heart ceremony where they get a red heart rub it in between their hands to keep it warm, rub it on their tummy so they never get hungry, rub it on their forehead so they are really smart and rub it on their back so they always got their teddy bears back. I really think its a lovely bonding experience. Darcy named her bear Ariel after her favourite Disney Princess and they have been inseparable every since. We have been back since to buy Ariel some new clothes and accessories, never would I had thought I would be buying clothes for a teddy bear, but they are reasonable priced. Whilst we were there they were hosting a birthday party, which the kids were loving. I think it's a great idea and when Darcy is older she will definitely be having a party there. No trip to Brent Cross is not complete without a visit into Lush. As you know I love Lush, from the products to the staff, shopping there is such a lovely experience it. 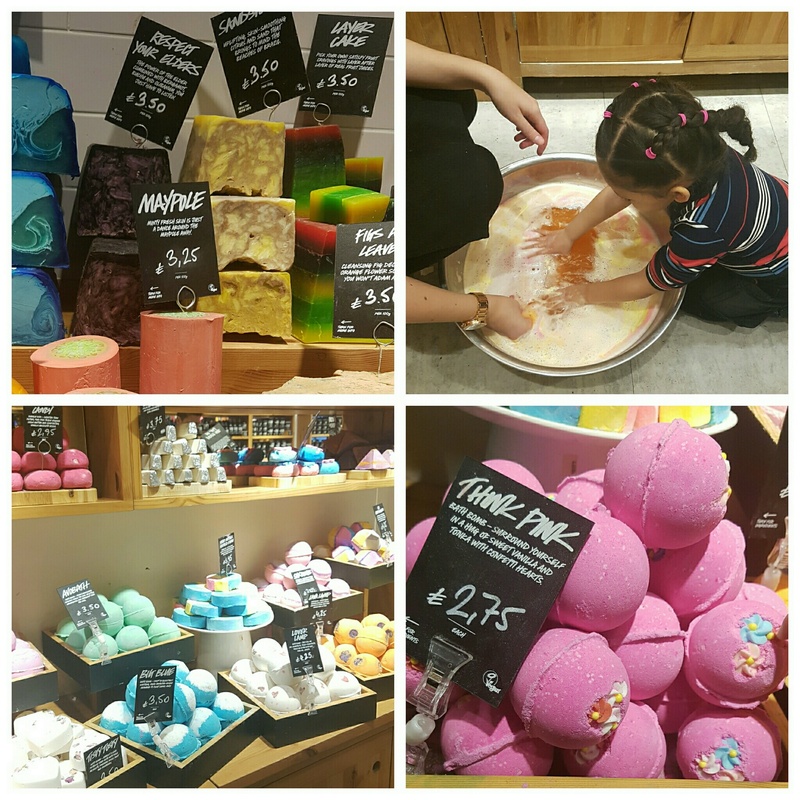 It is also fun for the kids, they get to touch the products, give the shower jellies a womble and there are always bath bomb and bubble bar demonstrations which the kids can get involved with. Shopping can be very thirsty work, so we headed down to Fuel Juice Bar which is located on the ground floor. 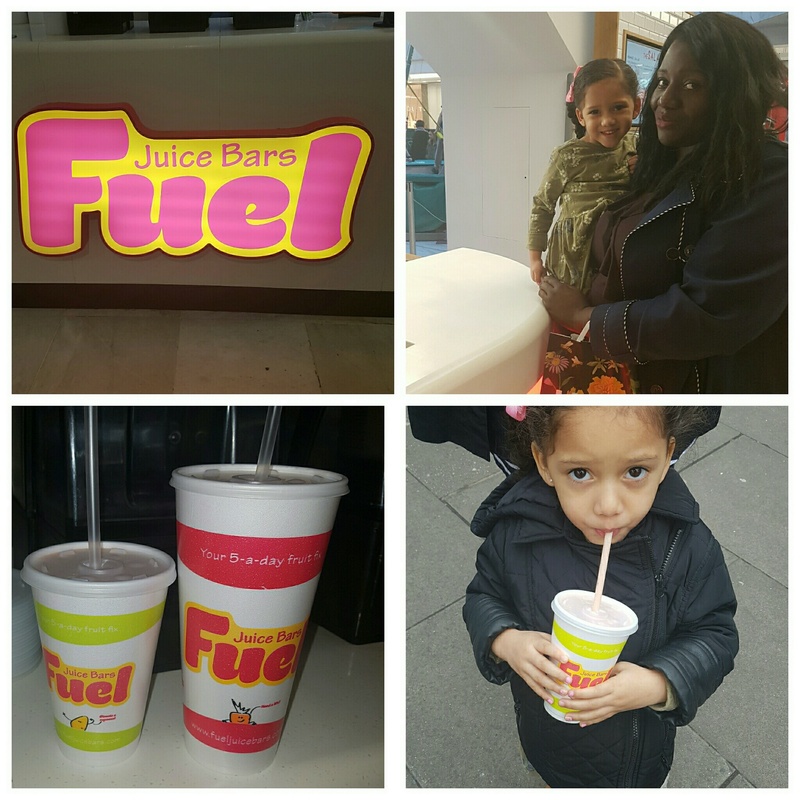 Fuel Juice Bars offer a healthy range of deliciously fresh fruit smoothies and juice made from natural ingredients. They have a specialist kids menu with four smoothies to pick from which are both nut and gluten free. We had a great day at Brent Cross and of course we will be back every soon. A massive thank you for inviting us down. You can find out more about Brent Cross and their regular theme events here.